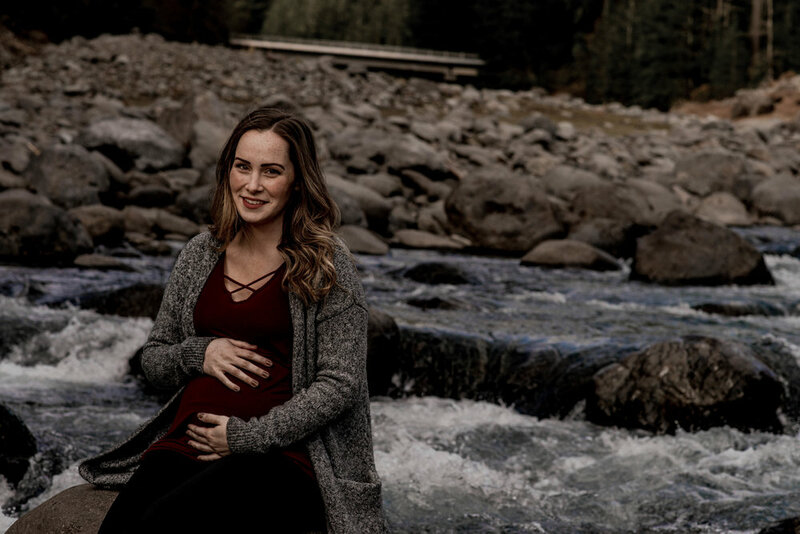 I love maternity shoots so much! Maybe its just the high I'm experiencing from the massive dose of baby fever I get each time I'm in the vicinity of a bump. Or maybe its the contagious excitement pouring out of the mama to be... 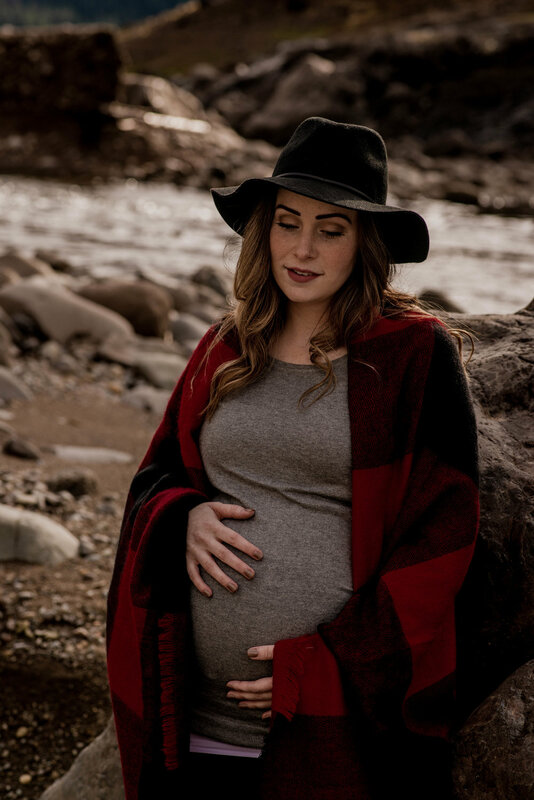 Either way, I truly enjoy shooting maternity. We ended up cutting it pretty close with the scheduling after mama had to reschedule because she was sick, then I had to reschedule 'cause I was sick, and almost again because I was sick AGAIN. Eventually we did it, we went for it, and I am SO glad we did. Originally we set out in hopes of finding snow. I picked her up and we chatted the whole way there. We arrived only to find something that resembled that of a desert more than the winter wonderland we were searching for. We parked the car and crossed our fingers. I could not be more happy with what we found! We stumbled upon an empty basin that is usually considered to be Blue River. Instead, it consisted of gorgeous grey rocks and warm brown mini mountains. Painted with those trademark PNW Evergreens along the landscape. It was perfect, and she was flawless.